11 Great Management Tools & Apps That Will Make Your Startup Life Easy! You may have several ideas for your startup, but executing those ideas in the right manner is a difficult job. You may have that correct passion, but smart management is what will make your business stand out from others. All you need is right tools or resource to expedite this passion for achieving your dreams. Sidekick is a tool by Hubspot which facilitates the email advantage. It displays powerful information about your contacts in your inbox. With this tool, you are able to see an email contact’s professional background, their mutual contacts, email history and a lot more. The best advantage that you enjoy with Sidekick is that you are able to track your emails – who opens and clicks. Also, you can make email marketing easy by scheduling mails and setting reminders. This tool is one of the finest ways to make your digital marketing strategy easy. Trello is one of the useful task management tools.Being a startup entrepreneur you may have bagful of tasks and innumerable pans to execute. Trello lets you manage these tasks in an organized manner. Now you need not rely on those sticky notes or long lists. You can create project boards, update and visualize the progression of each project, you are working on. RecruiterBox is a software which makes your recruitment process easy. This tool enables you to manage the job applications to your company. Keeping in mind the recruitment challenges encountered, this software is made flexible and easy to use. It is more easy and less complicated than spreadsheets. Track applicants automatically, manage resumes of the applicants and delegate tasks to your team. Make hiring process a “one-step” management. How much to make an app is your app cost analyses tool. This tool provides you with a clear picture of the costs involved in your app creation. All you have to do is enter the app details (app type you want to create) and it will give you the exact cost required for that app. Intercom.io is a customer communication tool which helps you see and talk to your customers. You can have live conversations and send targeted messages to website visitors and users of your app. Intercom helps you view all your customers and informs you what do they do with your product. Hootsuite is one of the finest social media management tools. It helps you manage social media marketing in the most easiest way possible. You can manage, schedule and target your audience across all the social media networks, effectively. Also, Hootsuite’s social media analytics give you an in-depth view of how well your social media activities are performing. It gives you a wider scope of your social media activities. Zoho Invoice Generator is an easy to use free invoice template wherein you can create personalized invoices. It ensures a standard and convenient form for invoicing every order. All you need to do is, enter your company details along with the invoice details and there you go – your invoice is ready! Google Inbox is an email app by Google. Companies receive bundles of emails everyday and so do you! This app is created to make email management easy. This application is focused on improving email productivity by allowing users to snooze emails and segment similar mails in separate folders. Hence, chances of reading each mail in your inbox and not missing reply deadlines increase. Mint.com is for managing your financial resources. With the efficiency of Mint, you can effectively manage your cash flow, budgets and bills at one place. You can create budgets and manage your personal finances. This free app gathers all your financial information at a single place, giving you the whole picture in a way that’s easy to understand and helps you make correct financial decisions. Slack is a free communication tool. It helps in making team communication smooth, allowing real-time messaging, archiving and search for modern teams. It understands the need for team communication in a business and can be integrated with over 80 external services to help you pull information from outside tools. Manage team communication by sharing files, sending messages and a lot more at one place. Flyp is an app that lets you have up to six different phone numbers simultaneously active on a single smartphone. Each number added can be utilized and assigned for a different purpose. Each number has its own voicemail, text messages, SMS quick replies, and sound profiles. Here’s my list. Do share other tools that you use and help in productivity increment. About the Author: Chirayu Akotiya works at MyOperator and leads marketing and product analytics. When he’s not busy with marketing and product analyses, he’s most likely playing table tennis or video games. 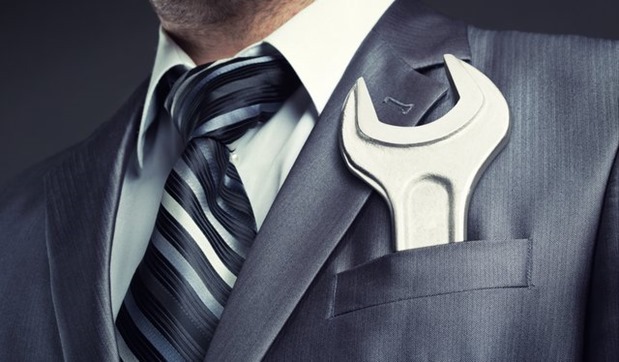 "11 Great Management Tools & Apps That Will Make Your Startup Life Easy! ", 5 out of 5 based on 1 ratings. 7 Habits of a Bootstrapped Entrepreneur. Good Habits That Make Sense! Why Every Entrepreneur Must Have a Plan B in Place! How Can a Good Team Empower Your Business? How Global Exposure of The Founders Can be a Big Advantage for a Startup? We are using Stackfield.com, because it combines Trello and Slack by offering a simple task management, group chat, file management and scheduling. Therefore we don’t need to use multiple tools. In addition, all relevant data are end-to-end encrypted. You have added “How much to make an app” to this list. This is a good resource to understand what all you need to take into consideration while thinking of the upfront cost that would be required to built an app but the unfortunately the prices are in USD and frankly we all know these things can be made much cheaper in India. Hi I hope you don’t mind if I add an email app recommendation – https://www.hiri.com/#gethiri – Hiri an email client that that improves productivity by reducing email overload and time spent on email. Sorry to plug our product, but I think we are trying to do is very relevant to this topic, so hopefully people will find this helpful.